The Gastroenterology Department provides a comprehensive range of services to investigate and treat disorders of the digestive tract including abdominal pain, diarrhoea, indigestion, difficulties swallowing, Crohn's disease and colitis. The department provides an inpatient service to patients with digestive tract disorders including bleeding, colitis and Crohn's disease as well as participating in and managing patients admitted through the Emergency Medical Units. Outpatient clinics are provided at Derriford Hospital and community hospitals in Kingsbridge, Launceston, Liskeard, Saltash and Tavistock. All consultants are actively involved in the endoscopy department which offers a comprehensive diagnostic and advanced endoscopic service including ERCP, video capsule endoscopy and oesophageal physiological studies. The Endoscopy Department at Derriford Hospital provides a fully comprehensive diagnostic and therapeutic service. It is one of the largest units in the UK, performing over 14,000 procedures annually in five endoscopy rooms and a modern purpose-built GI radiology room. Procedures currently undertaken include ERCP, Colonoscopy, Bowel Cancer Screening (three screening endoscopists) OGD, Linear EUS-FNA, radial EUS, Video capsule endoscopy and Endoscopic radiofrequency ablation. The department is well stocked with Olympus CV Evis-Lucera 290 processors, HD screens, scope guide, ERBE diathermy units, APC and Barrx HALO ablatio. The department has been fortunate to receive significant recent investment and continues to expand. It is a multidisciplinary unit incorporating gastroenterologists, surgeons, radiologists, associate specialist and nurse endoscopist. The Radiology Department provides a comprehensive service in diagnostic and interventional radiology including spiral CT, MRI scanning, harmonic ultrasound imaging, specialist pelvic floor imaging and endoscopic ultrasound. Interventional Hepatobiliary techniques include percutaneous biliary stenting, chemoembolisation and radiofrequency ablation of tumours, transjugular liver biopsy, portal pressure measurement and TIPS insertion. This is located in the Endoscopy Unit and has facilities for high resolution oesophageal manometry, 24hr pH monitoring, and anorectal physiology measurements. There are currently eleven nurse practitioners – inflammatory bowel disease (four), nutrition (two), research (three) and nurse endoscopist (four). The nurse endoscopists also coordinate surveillance for barrett’s oesophagus, enteral feeding, VCE, oesophageal physiology and liaise with wards about patients with acute upper GI bleeding. Gastroenterologists provide a seven-day inpatient service on Marlborough Ward and a morning specialty Medical Assessment Unit take. All medical gastroenterology inpatients are admitted to one ward where they are managed together with GIM patients. The team look after specialist anorexia nervosa patients from across the Peninsula. The Trust has a dedicated nutrition team lead by Dr S Lewis and incorporating nutritional intestinal failure patients. They provide anteral nutrition service and advice on nutritional problems to the hospital, and provide specific outpatient clinics. The Pharmacy has a specialist compounding facility for anteral feeds. There is a 24/7 nutrition helpline for patients. The Trust also provides services for small bowel transplants. The Trust offers a multi-disciplinary clinic each Friday which offers access to nurse, consultant, surgeon, dietician and registrar. There is direct telephone helpline offered for patients. The Trust is also able to provide IV drugs which limit the impact of disease symptoms. 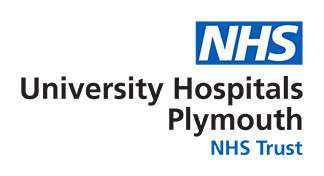 Plymouth Hospitals NHS Trust is the designated regional centre for Oesophago-Gastric Cancer and Liver and Pancreato-Biliary Cancer surgery. There are weekly colorectal, oesophago-gastric and HPB cancer MDT meetings. Multi-disciplinary dietician, biochemistry, pharmacy and psychology input. There are weekly meetings for histology, gastrointestinal radiology and inflammatory bowel disease and a monthly IBD MDT meeting. There is an annual three day meeting of the south west gastroenterologists, an annual meeting of the South West IBD Group and two annual meetings of the South West Hepatology Group. and pancreatic cancer. The Trust is designated as a type III intestinal failure service and has the capability to offer the type II services for patients in the Peninsula. The service offers support to the Plymouth Medical School (PMS) and Postgraduates. The endoscopy unit is intending on providing regional training events during the year. The service is engaged in research, such as intestinal function and specialised nutritional support particularly post-surgery.